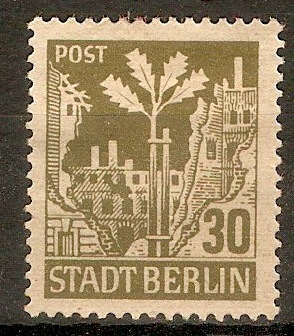 Russian Zone 1945 30pf Olive-green. SGRA7. Heavy mounted mint 1945 30pf Olive-green. SGRA7. 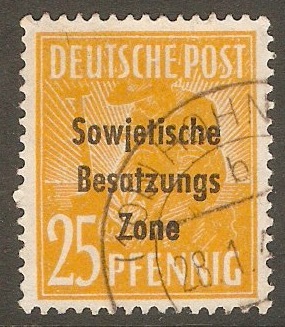 Germany 1948 25pf Yellow-orange. SGR10. Fine used 1948 25pf Yellow-orange. SGR10. 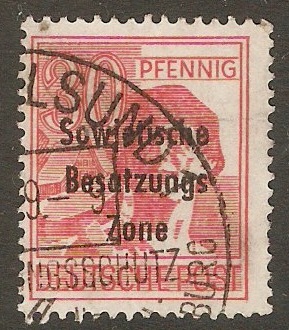 Germany 1948 30pf Red. SGR11. Fine used 1948 30pf Red. SGR11. 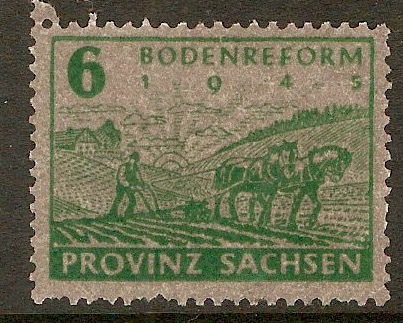 Germany 1945 6pf Green. SGRC24. Unmounted mint 1945 6pf Green. SGRC24. 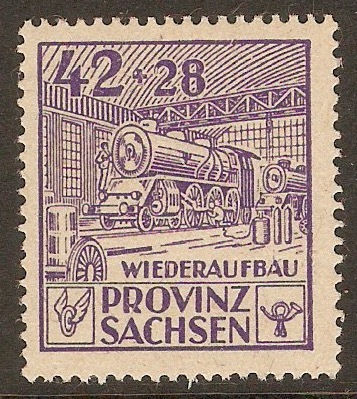 Germany 1946 42pf +28pf Violet. SGRC31. 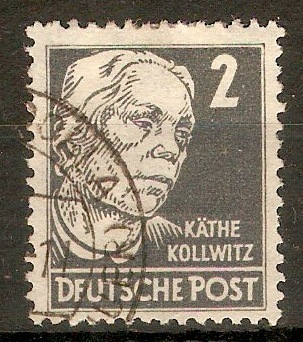 Unmounted mint 1946 42pf +28pf Violet. SGRC31. 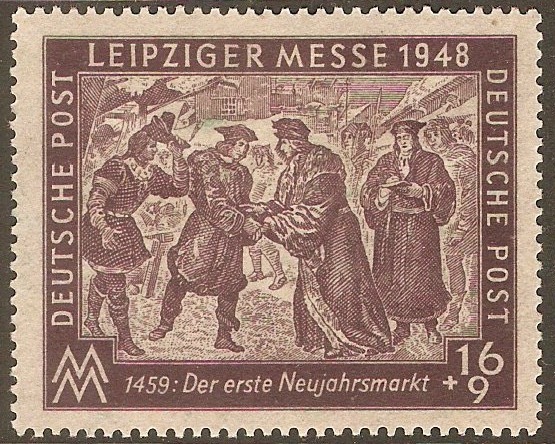 Germany 1948 16pf +9pf Leipzig Autumn Fair series. SGR31. 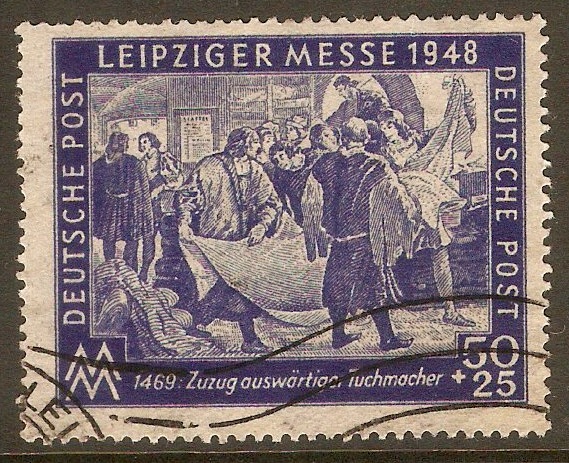 Mounted mint 1948 16pf +9pf Leipzig Autumn Fair series. SGR31. Germany 1948 50pf +25pf Leipzig Autumn Fair series. SGR32. Fine used 1948 50pf +25pf Leipzig Autumn Fair series. SGR32. 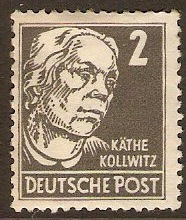 Heavy mounted mint 1948 2pf Slate-grey - Portraits Series. SGR33. 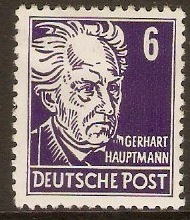 Mounted mint 1948 6pf Violet - Portraits Series. SGR34.